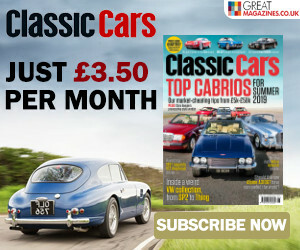 Jaguar E-type – driven by Classic Cars is an unmissable collection of the best road tests from Classic Cars magazine, covering all three generations of E-types, from the earliest and most famous of the six-cylinder Series 1s to the late V12-powered Series 3s. From discovering how much the E-type inherited from its racing forebear, the D-Type to an exhilerating track test in the ex-Roy Salvadori Lightweight E-type racer. Read all about the trials involved in resurrecting a famous competition prize car and and discover how a wreckage found in a lock-up became a concours winner. Hear why the E-type is such an icon – by the man who developed it. Looking for the perfect Christmas present for a classic car enthusiasts? treat them to the collectors' edition of Jaguar E-type - driven by Classic Cars.